We promise. 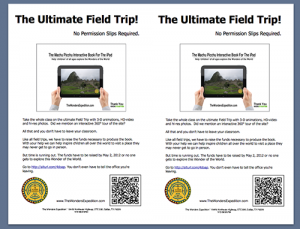 With The Wonders Expedition’s Interactive Book for iPad on Machu Picchu, you’ll be able to take the whole class on the ultimate field trip and never leave your classroom. And just imagine this concept–Parents begging you to take them, too! What Is An Interactive Book for the iPad? These incredible digital books go way beyond what’s available in paperback or e-Pub formats for Kindle and Nook. These have 3-D animations, HD-video and hi-res photos complete with 360° tours. It’s the mobile interactive museum you take with you and it becomes a field trip in the hands of the children in your classes. Just think, with a few iPads your kids can tour Machu Picchu and see the view from the Temple of Three Windows, hear the rushing Urubamba River, and manipulate the ancient door to the city in an interactive 3-D animation. There’ll be no need to check with the principal’s office, no need for buses, no need for t-shirts, no need for parent permission slips. You just open the book and you’re there. Virtually. But Like With All Field Trips…. 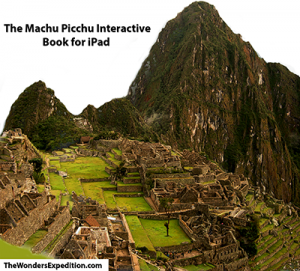 Presently, we have a Kickstarter.com campaign underway to raise support for the first and most extensive Interactive Book for the iPad on Machu Picchu, one of the “New Seven Wonders of the World,” located in the heart of the Andes Mountains in Peru in South America. Most people will never get to visit this site that was “re-discovered” in the jungle 100 years ago. The travel costs to go in person are expensive, particularly for a family with children. The site is remote. And the Peruvian government limits daily admittance to 2,500 people. We all want your students to grow up with a taste of all that’s going on in the world and let’s face it, the cost of travel, particularly in this economy isn’t easy. And when it comes time for children to do book reports, research papers or the dreaded theme for class, we want them to have good resources that are easy to get to, will help them get a good sense of what they’re studying, and be able to use that information in a way that minimizes parents’ need/want to write it for them. With our Interactive Books for the iPad, that’s one of the goals we have in mind as we approach each project. We want you to be able to let your students explore the world and do so safely, with good, positive and informative content. We want you to be able to read and explore with them, or let the book handle the heavy lifting and help them learn with great, easy-to-understand interactive graphs, charts and examples that help today’s learners better conceptualize things about their world. Our effort for the Machu Picchu book in Peru is just beginning. In order to go to Peru and gather up the 3-D animations, HD video and hi-res photos for the book, we have to send a crew to Peru from North America. We intend to go in June/July and are raising funds through a crowd-sourcing Website called Kickstarter.com. By pledging support for our project, backers are promised a collection of cool rewards, including t-shirts, copies of the book, a vote on one of the three final cover options, and for those who pledge $25 or more, they get their name in the back of the book. The campaign to raise the funds is underway and goes until May 2. That’s not a lot of time and we have a lot to raise. Please think about the magic that can be shared with your children through an Interactive Book for the iPad that has great photos, imagery and video of one of the most mysterious places on Earth. And please go to our Kickstarter.com campaign and make a pledge. Help write history by backing this important, first-of-its-kind project. 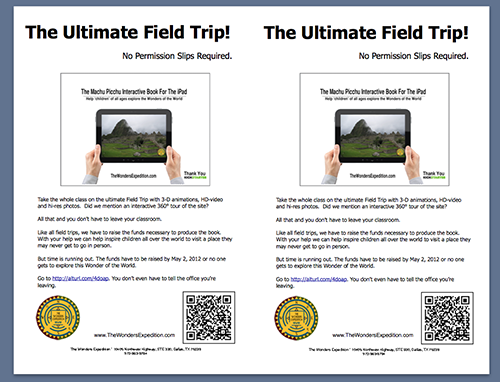 We have an attached The Machu Picchu Teachers Flyerfor distribution within your school or to your colleagues in the field. 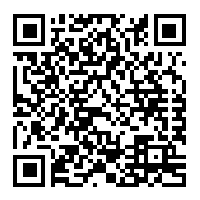 Please copy it and distribute it freely!